Mystic Quartz Loose GEMSTONES 6mm Round Cut P Each. 1 Strand Turquoise Gemstone Chip - Reconstituted Dyed and Stabilised. Approx 250 Beads. Beads: 5-10mm x 3-5mm. Keep your jewellery, findings and beads tarnish free by removing when washing your hands, showering, swimming, exercising and before going to bed. Approx 250 Beads. We will always help you to have a 100% positive happy buying experience. 1 Strand Rose Quartz Gemstone Chip. Keep your jewellery, findings and beads tarnish free by removing when washing your hands, showering, swimming, exercising and before going to bed. Use a soft cloth to clean once a week. APPROX SIZE OF EACH BEAD IS 18 X 10 MM, BUT VARIES FROM BEAD TO BEAD. Assorted Mixed. Approx 3mm-5mm approx. 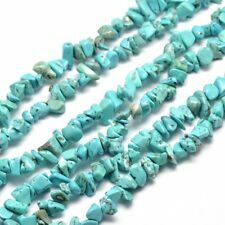 10 chunky Quartz (dyed) Turquoise rectangle tube nugget beads. Quartz dyed Turquoise Beads. Beads and bits for creative mitts. You will receive the exact beads shown in the photographs. Hole size: 1.5mm. One Strand 3mm Rose Quartz Beads. Approx 113 Beads. ●You will receive 113 Beads. ●Size approx 3mm. ●Rose Pink. 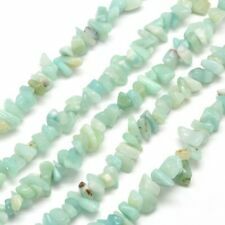 1 Strand Amazonite Gemstone Chip. Approx 250 Beads. Beads: 5-10mm x 3-5mm. Keep your jewellery, findings and beads tarnish free by removing when washing your hands, showering, swimming, exercising and before going to bed. 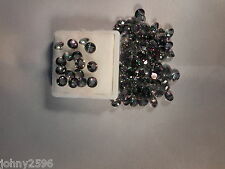 25 Sparkly Clear AB faceted Teardrop beads (5500). A stunning bead suitable for all your jewellery making projects! Perfect for earrings ~ necklace etc. ALL ORDERS ARE DISPATCHED WITHIN 24 HOURS. You Will Receive. Rutilated Quartz Beads. Size : 6mm. These appear to have been dyed pink, and are not rose quartz. Quartz Point Beads. 9 Quartz point beads. Beads and bits for creative mitts. They are top drilled, and have been shaped into points. 25 Sparkly Red faceted Teardrop Crystal beads. A very beautiful bead suitable for all your jewellery making projects! ALL ORDERS ARE DISPATCHED WITHIN 24 HOURS. You Will Receive. 10 chunky Quartz (dyed) hot pink rectangular tube nugget beads. Quartz dyed Hot Pink Beads. Beads and bits for creative mitts. You will receive the exact strand shown in the photographs. Hole size: 1.5mm. mookaite freeform chips/chunks side drilled as shown. Condition is New. Dispatched with Royal Mail 2nd Class Large Letter. Rainbow Quartz Triquetra Pendant. One Rainbow AB Quartz semi-precious gemstone Triquetra Pendant. This is a carved triple knot pendant sized focal that can be attached to a cord. or included in a beaded necklace. wholesale！6mm blue larimar quartz round beads 15"
Dear friends, Hello ! I will do my best to solve the thing about the item. The Finest Gemstones! The Finest Beads! They are good for necklace, bracelets and earrings. Jewellery & Watches. Cut: Cabochon. 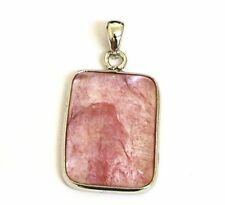 Cabochon Matte Synthetic Rose Quartz. Material: Rose Quartz. 10pcs 10mm Malachite Gemstone Spacer. Qty - 30pcs. 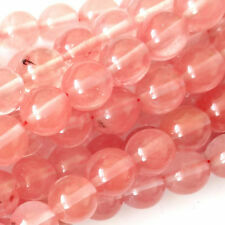 Item - Rose Quartz Round Beads. Size - 6mm. Colour - Pink. (You will receive a random selection of beads, the photos are a guide of what you will get :). Quantity - 150. Feel free to collect in person :). Important info. 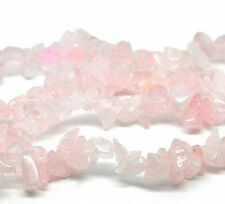 15" temporary string of Rose Quartz round beads, 8mm, approx 48 beads. 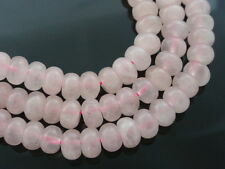 15" Rose Quartz Gemstone Beads 8mm round. Item for jewellery making & other art & craft projects. 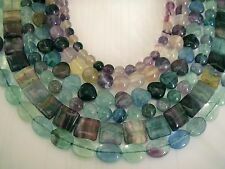 Quantity - 15" string, 48 beads approx. 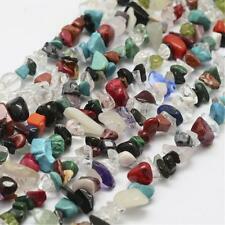 mystic quartz loose gemstones 6mm round cut £1.50p each. 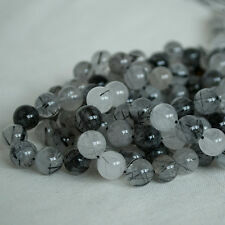 These are 6mm round cut Mystic Quartz.Approx 0.80 carats each.Stone depth is approx. 135cts Blue Sapphire Graduated Faceted Pears Approx 7x3 to 16x11mm, 24cm Strand.